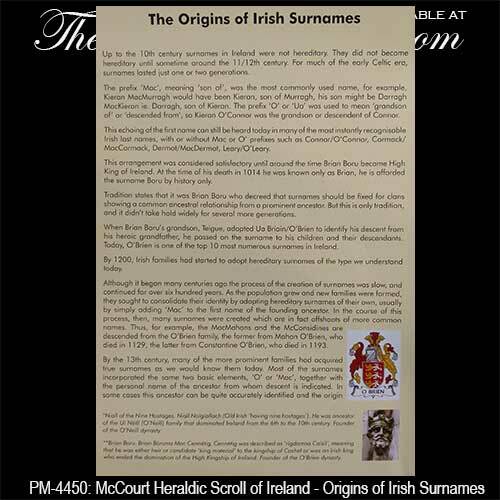 The McCourt Irish family names map lists Irish Families - Edward MacLysaght, Burke's General Armory 1878, Rietstap's Armorial General and The Surnames of Ireland - Edward MacLysaght as the research resources. 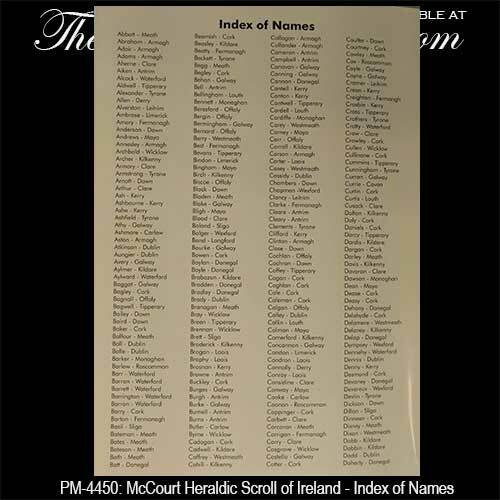 The locations of the family names on the map have been obtained from the Primary Valuation Property Survey of Ireland 1847-64. 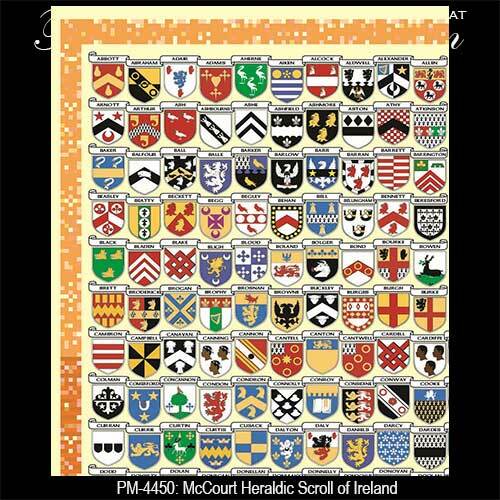 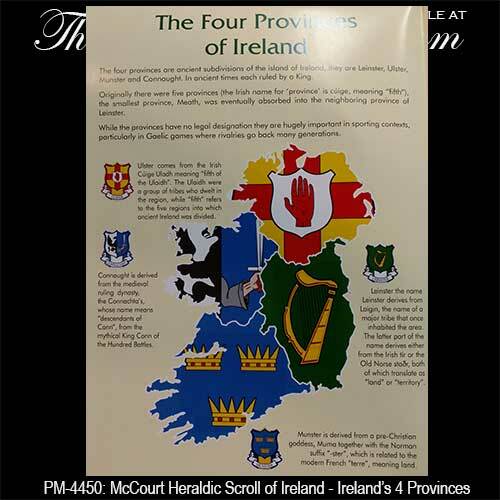 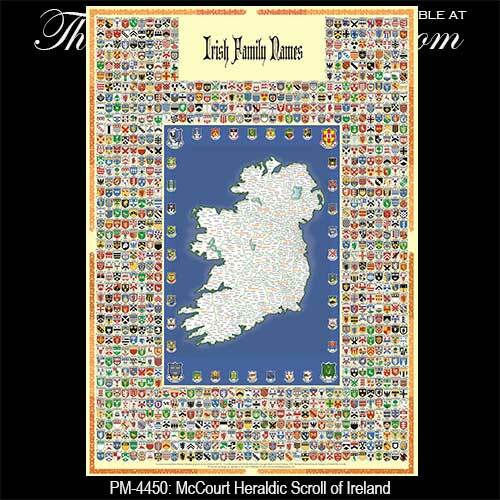 This Irish names map is the McCourt Heraldic Scroll of Ireland which provides full color coat of arms for 938 Irish families along with the family location origins on a detailed map of Ireland. 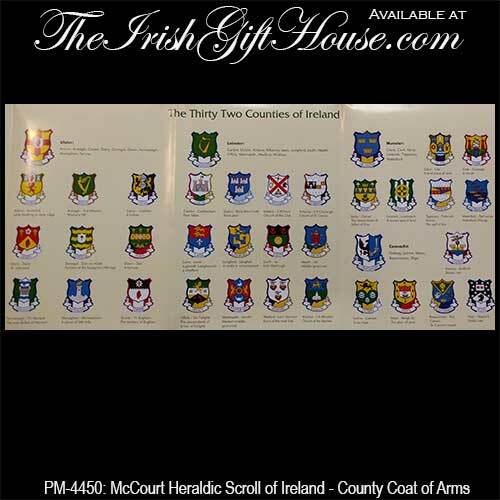 The reverse side features an index of names and a history of the origins of Irish surnames along with the coat of arms for the four provinces of Ireland and the coat of arms for the 32 counties of Ireland. 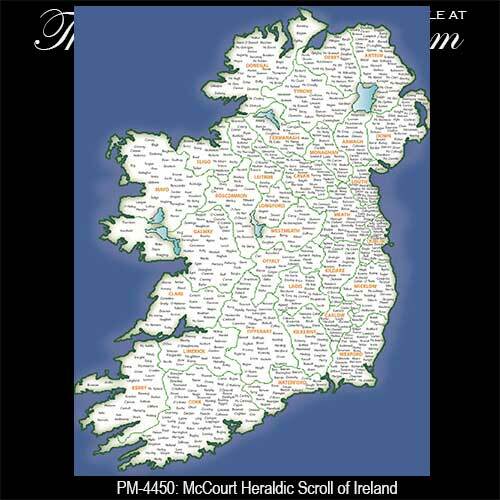 This illustrated Irish family names map measures 40” tall x 27” wide (unfolded) and the double sided poster is printed on heavy stock. 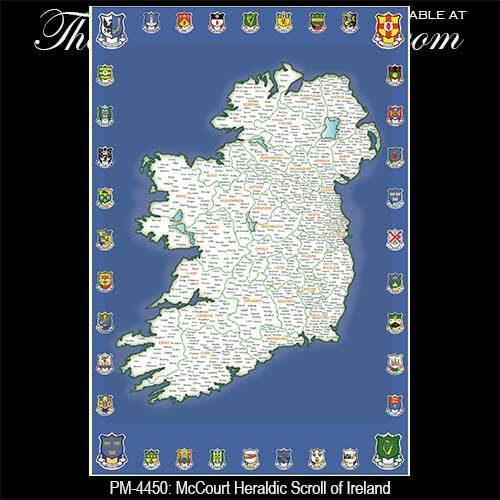 The McCourt Irish names map is suitable for framing.